The British Embassy in Denmark is in Copenhagen.You may contact the embassy to renew your British passport or to apply for a UK visa while in Denmark. You can also register your children born abroad and speak to them about any consular services which you might need. If you have been arrested while abroad, need medical attention or other issue you may call them when in need. 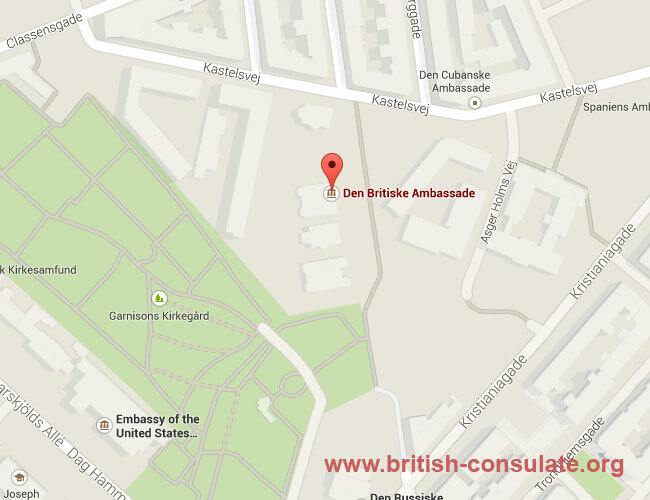 We have added the telephone numbers, map and street address for the British Embassy in Copenhagen.